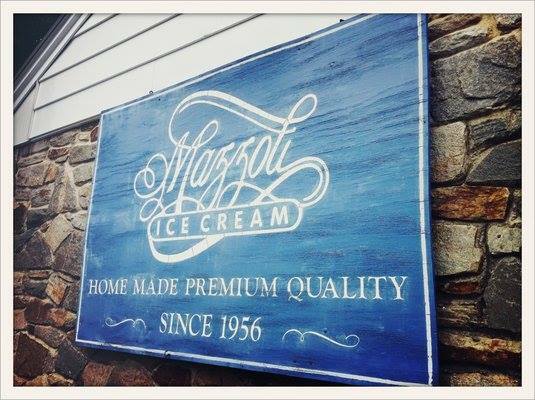 Since the mid-fifties, Mazzoli’s has been producing some of the area’s finest gelatos.. Founded in 1956 by Mr. and Mrs. Fred Mazzoli of Hershey. From the late 1920’s through the early 1940’s, Mr. Mazzoli served as Milton S. Hershey’s dairy chef at The Hotel Hershey and the Hershey Creamery..he and Mr. Hershey worked closely to bring new products, flavors and desserts to the mid-state. After Fred Mazzoli passed away, another family bought the home and the little shop tucked into the rear of the property and continues making gelato from the original recipes. Gelato is as good as it gets..with lower fat content and less air than ice cream, it produces a more intense flavor. Try the Spumoni and the Tortoni, two Italian staples. They also have different special flavors available at any given time so it’s best to check with them via telephone 717-533-2252 or via their Facebook page. This week they have handmade gelato di melone (cantelope gelato), raspberry sorbetto and pistachio ice cream.